A cloud of uncertainty has befallen the African Action Congress (AAC) as its deputy gubernatorial candidate in Rivers State, Akpo Bomba Yeeh, resigned and aligned with the Peoples Democratic Party (PDP).This was as Governor Nyesom Wike and PDP National Chairman Uche Secondus called on the Independent National Electoral Commission (INEC) to bring the state’s election to a logical conclusion, so that the people could continue with their lives. Yeeh’s decision came barely eight days to the commencement of the collation of the suspended elections. He accused the Minister of Transportation Chibuike Amaechi of being too desperate and attempting to use the army to rig the elections. He said this was an affront to the democratic rights of Rivers’ people to freely elect their leaders. 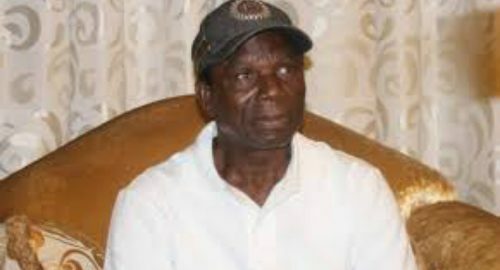 He said he didn’t want to be part of the alleged plot by APC and AAC to subvert the will of the people who voted overwhelmingly for Wike and the PDP.Yeeh explained that barely 72 hours to the March 9, 2019 elections, the Amaechi faction of the APC had announced an alliance with the AAC for the governorship election, having been barred by the courts from fielding any candidates for elections in the state. He alleged that the minister assured the AAC gubernatorial candidate, Biokpomabo Awara, and himself that he (Amaechi) would fund the polls and ensure their victory, having assembled security personnel drawn from the Nigerian Army, the Police, Department of State Services (DSS) and Federal Special Anti-Robbery Squad (FSARS) to provide cover.He said the deal was conditional and would confer de facto governance to Amaechi who would appoint 90 per cent of all political office holders, including commissioners, special advisers, chairmen and members of government boards, agencies and parastatals. “He must be the one to nominate and produce all the 23 local government council chairmen and other principal officers of the councils. We, that is, Biokpomabo and my humble self, must consult and take instructions from him on all financial, policy and fiscal matters, as well as the award and payment of contracts and other financial transactions following our inauguration as governor and deputy governor. He said records received from AAC agents showed that collation had been concluded in 19 out of the 23 local government areas before INEC abruptly suspended the process following the attack on its state headquarters by the army on March 10, 2019. According to him, contrary to false claims of fictitious lead by the APC/ AAC alliance, the PDP overwhelmingly won across 18 of the 19 local government areas, culminating in the declaration and return of the party in 26 House of Assembly constituencies. Yeeh said the purported claim to victory by the alliance vanished when INEC confirmed the safe custody of the collated results in 17 local government areas and its readiness to resume and conclude collation as soon as practicable.He revealed that the alliance has concluded plans to again use security personnel to prevent INEC from resuming collation from April 2 to 5, as scheduled. According to him, the alliance also planned to use security personnel to arrest, intimidate and force collation officers to change results in favour of the AAC candidate. Awara however said he had not seen any resignation letter to that effect. According to him, when he spoke with his former deputy around 7:00 p.m. on Sunday, Yeeh did not hint him of any plan to resign from the AAC and join the PDP. He alleged that the purported defection was for pecuniary interest. The AAC candidate said though Wike claimed the AAC isn’t a party to reckon with, it was shocking that the governor could allegedly use public funds to shop for the deputy governorship candidates of opposition parties.He accused Wike of luring the deputy governorship candidate of the SDP, despite obvious legal provisions, which show that deputies are part-owners of joint tickets and could not be separated from their candidates once they have appeared on the ballot. A legal luminary, Adedipe Ifedayo (SAN), meanwhile told The Guardian that Yeeh’s resignation has no legal bearing on the outcome of the polls. “Once he is not the main governorship candidate, his resignation has no bearing on the outcome of the elections. He can resign if he wants to. That is their internal problem,” he said. Hope for Nigeria Online relies on concerned and engaged citizens like you to deliver the latest in news out of Nigeria. Do you have a story or a tip to share? If so, click on the MESSAGE US to send a report to our editors.